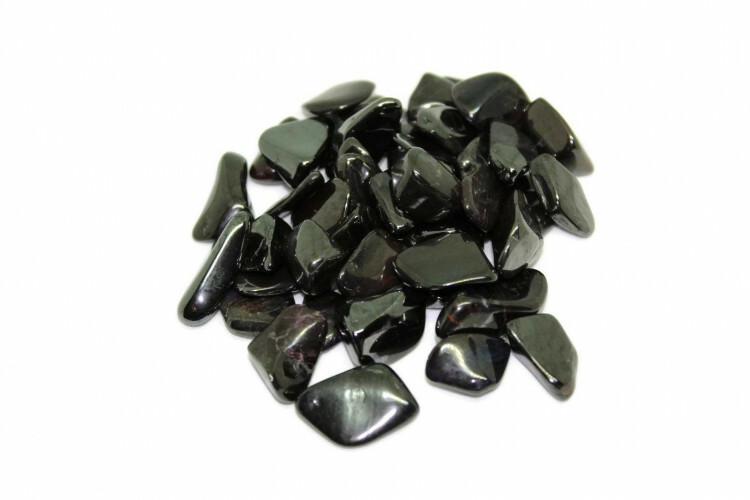 Pyrolusite tumblestones, available in three sizes. 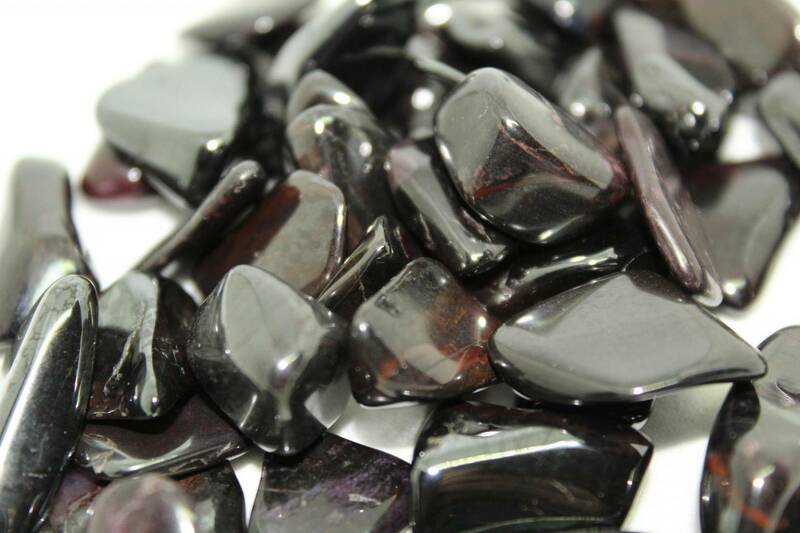 Gorgeous Pyrolusite tumblestones, available in three sizes. 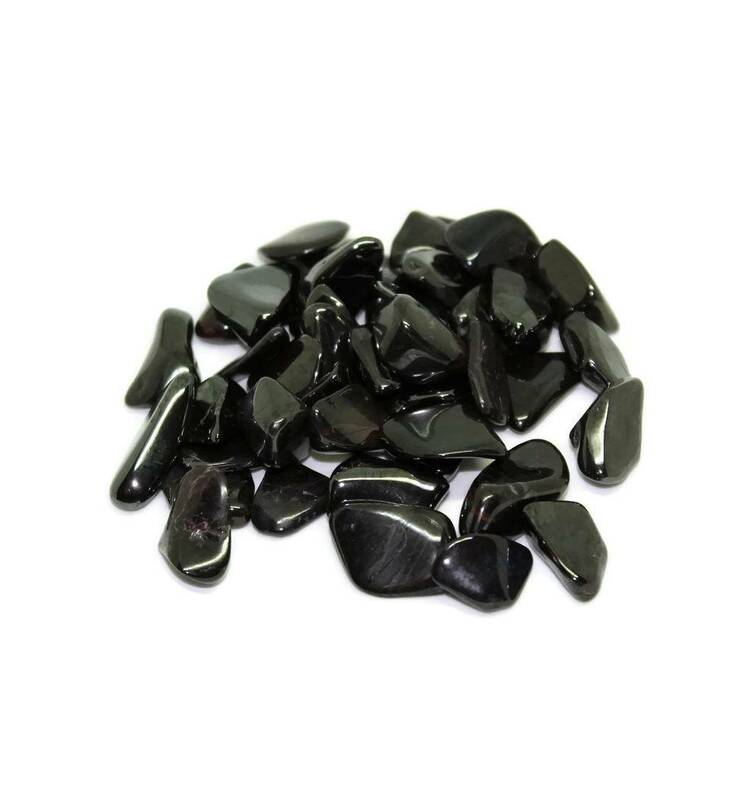 These stones are an interesting silvery-black colour, and make a nice contrast stone. Because of their colour, they work nicely paired with silver stones, whites, etc. They may include silvers, blacks, dark blues, and other dark metallic colours. Due to their metallic inclusions we would recommend against using them anywhere wet, including fish tanks, aquariums, etc. For more information about Pyrolusite, and a full list of all of our related products, we suggest looking at our ‘Pyrolusite’ page.